Entertainment is of course a basic need of human mind. Today’s earth offers us versatile forms of entertainment, most of which occurs through internet. Websites are the easiest media to serve millions with entertainment. Who deals with entertainment may not have enough time or expertise to scavenge the rough storage of website templates. 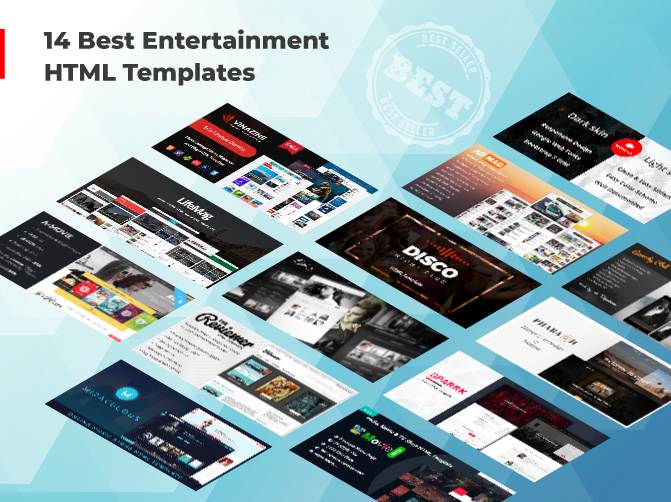 Here I am with the 14 Best Entertainment HTML Template for your convenience. Some may confuse entertainment templates with restaurant HTML templates. But entertainment templates should be dedicated , though these two has a close relationship. If I ask you to choose a product related to fashion, which will you choose? Of course, the grand looking and the most elegant one! So, why not the colorful and elegant website template for your website? This item truly deserves to top in the list of Best Entertainment HTML Template. Vinazine is such a Multi-Concept, Unique, Magazine and Blog HTML template. It has been created for Tour-Travel website, Business Magazine, Food Recipe and other Entertainment Service. Vinazine is powered with Bootstrap4, Slick Slider, Owl-Carousel, Video Popup, Gallery, Video Popup and multiple more. Sixteen Home Variation, ten different Header Layouts, Font Awesome, Stylish New Page and Documentation have embellished this template with all modernism. 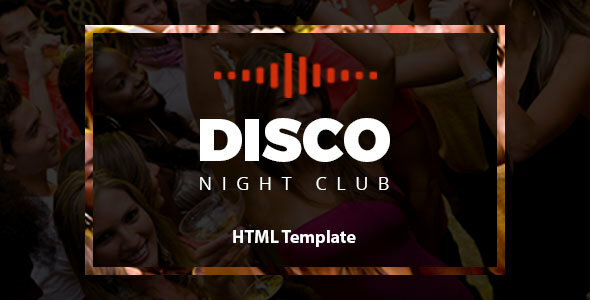 Disco – Night Club HTML Template is as gorgeous as it should be to attract the visitors. Disco is mainly taken to this blog for its aesthetic design. This Bootstrap4 template is designed perfectly with strong anticipation. Disco Brings 25+ HTML pages, Well Commented HTML and CSS Files, Free Fonts, Google Font, Easy-Customization, Pixel Perfect Design etc. Creative design and exclusive feature are at the center of this template. You will be able to connect your existing customers smoothly and to attract new customers efficiently. You can install it with no doubt. 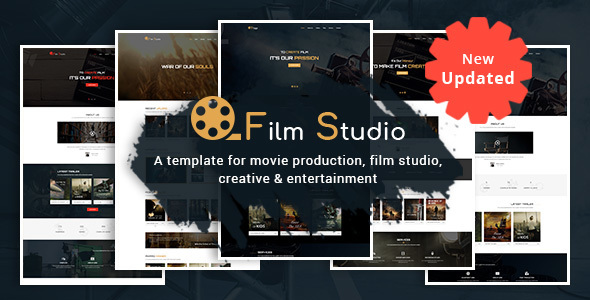 Film Studio responsive HTML template is another Best Entertainment HTML Template that is fit for Movie Production, Film Campaign, Trailer or any other movie related purpose. Film Studio comes with tons of efficacious services for both the users and the visitors. Film Studio includes 9 Unique Homepages, Bootstrap 4, Valid HTML5 & CSS3, 4 Portfolio Pages, 4 New Pages, W3 Validated Markup, Dynamic Contact Form, 2 Service Pages and many more. Moreover, Film Studio possesses unique design and exclusive visual outfit. This entertainment HTML template runs smoothly in any browser. 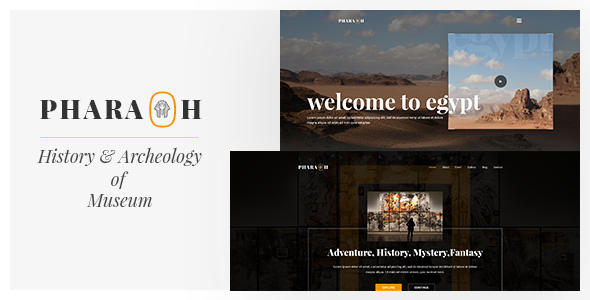 Pharaoh is an excellently designed HTML template for Museum and Exhibition service provider organization. Pharaoh is a fully responsive template which focuses on smooth usability in all kinds of device size. However, Pharaoh, built with HTML5 and CSS3, is a clean and creative template. This template has a total of 13 HTML pages including 2 homepages, Google Font, Well Documentation, and Well-Commented HTML & CSS File. In addition, Pharaoh, entertainment template is Cross-Browser compatible too. Using this solution focused template you will be able to best serve your visitors and clients. 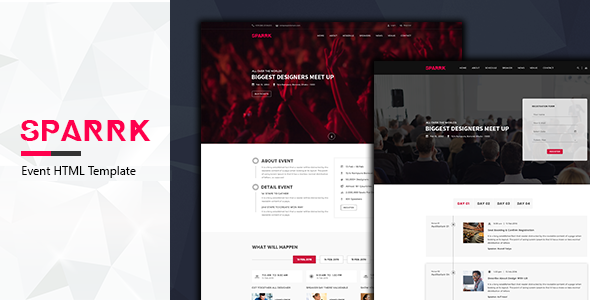 Sparrk – Event Bootstrap Template is a powerful online tool to set up your website. You can build the online home of conference, courses, consultations, event, exhibition, meeting, responsive, landing page, seminar, startup etc. Sparrk is loaded with multiple user-friendly features. Along with having all the basic features, Sparrk doesn’t lack in comprising the advanced features too. However, spark includes 8 Unique Home Versions, 8+ Color Variations, Free Font, Font Awesome, Detailed Documentation, No Console Error and many more. In addition, Sparrk is a responsive and Cross-Browser compatible entertainment HTML template. Users will enjoy ultimate easy while using this website template. Comedy Club is a clean and precise HTML5 template for entertainment business. Comedy Club professional HTML template is for stand up performance, comic, comedy, entertainment businesses etc. Besides, one can showcase his Works, Projects, Service in this template as well. 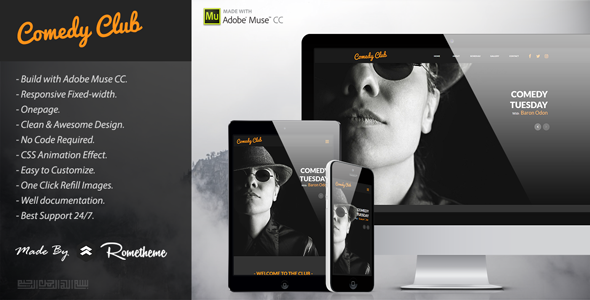 Having been built with Adobe CC, Comedy Club is very easy to customize. In addition, this template is perfectly responsive to varieties device size and operating system. Furthermore, Comedy has SCC Animation, Unlimited Color, One Page Design, Well Documentation, Drag & Drop etc. Even, you can customize this template without programing knowledge. 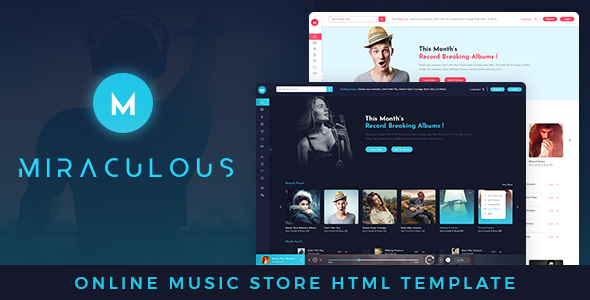 Miraculous is a Music Business and Online Music Streaming HTML template, designed very carefully. This template contains 2 different versions, light and dark. This Bootstrap4 template brings 25+ Valid HTML and CSS3 files that are elegant to look at. However, a music app needs to be very clean and user-friendly. Miraculous is truly affluent in that perspective. In addition, it is packed with tons of useful features. It has different sections for Weekly top 15 songs list, Latest release, Features album, Featured artists, Top Genres and live radio. Search Bar at the top, Log In and Register, Beautiful Popup have made this app more user-friendly. You can customize it too, very easily. Furthermore, we have added download page in this template so that you can let your customers download any song if they wish. Creativity and colorfulness should be at the core of entertainment website. A.Movie is adorned with creative look and features. This Bootstrap-based template is suitable for cinema, theatres, movie promotion, blogs and movie communities. A.Movie includes great user-experience with the unique pages as Trailers, Movies List, Best Offers, Single Cinema Page etc. Astute banner areas, where you can show the ads, are included in this app. While downloading, you will be finding 36+ HTML files built with semantic code. It enables you to make minor or major changes in the template through little leverage. Attributes like Cross-Browser Compatibility, Font Awesome, Video Background, Log In Page, Coming Soon Page, Revolution Slider, Magnific Popup, PSD Files are included in these awesome template. 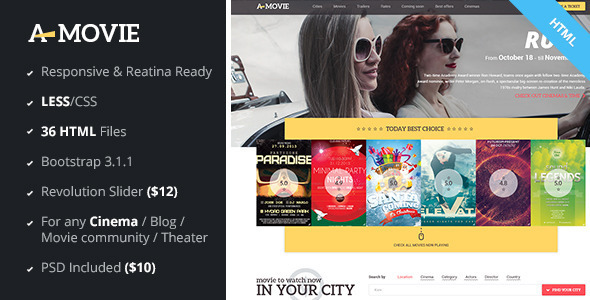 I was stunned to see the color combination and design of this Movie, Video & TV Show HTML Template. Movie start is such a smooth and colorful HTML5 template for online video template. Despite being a minimal one page template Movie Star has everything that might be needed. However, this exclusive template is embellished with 6 homepages, Shortcodes, Toggle, Gallery, Contact Page, Celebrity Page, FAQ Page and many more. Color combination has also been excellent in Movie, Video & TV Show HTML Template. Users will surely enjoy the smooth UI of this template. 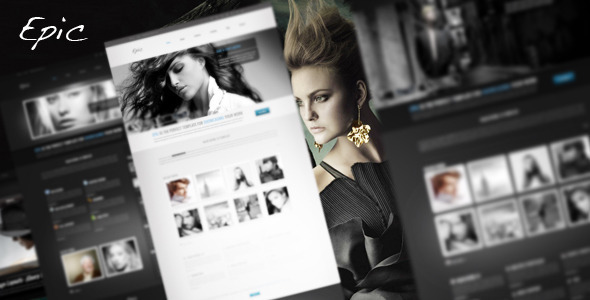 In addition, this well-organized HTML template is easily customizable. Reviewer – HTML Template for Entertainment Reviews is a smart HTML website template for Movies, TV Shows review. PHP files are added to this template that allows you to easily add Header, sidebar and Footer Files. 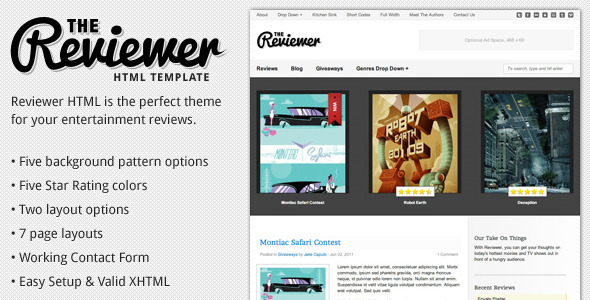 Reviewer HTML template brings 5 background patterns that have two color variations. Dynamic functionalities and user-friendly features are the main reason why people love this template and give a good rating. In addition, Reviewer unique template contains two Layout Options, two Sidebar Options, Social Network Icons, Working PHP Contact Forms, Details and Easy Documentations and valid XHTML. Do not make late to make a visit to the pages of this feature-focused template. The review pages are designed in a nice way and the review blogs are very much catchy. Admag is another High-Performance HTML template. Admag is specially designed for the websites that deal with Lifestyle, Entertainment or Technology. 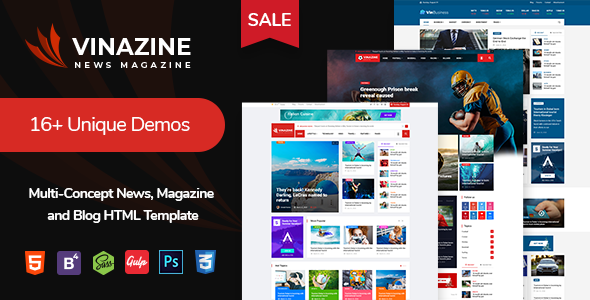 Admag stunning HTML template is 100% responsive to any device size. The thing what people have to struggle over most is customization. Thanks to the author of this template; Admag is very easy to customize. In addition, you can choose any one from 35+ HTML pages which are built with Bootstrap. It has Smart Sticky Header, Mega Menu, Grid System, Wide & Boxed Layout, Dark & Light Version, 3 Header Variation, Font Awesome Icon, Cross-Browser Compatibility, Responsiveness and Retina Ready Display and so on. 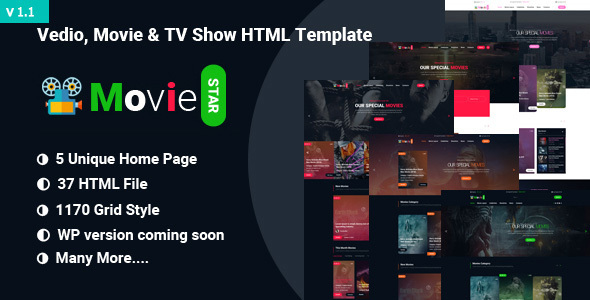 Movie Me is absolutely one of the most creative entertainment HTML template I have visited till now. It is especially for the Films, Projects, Videos, Movies etc. 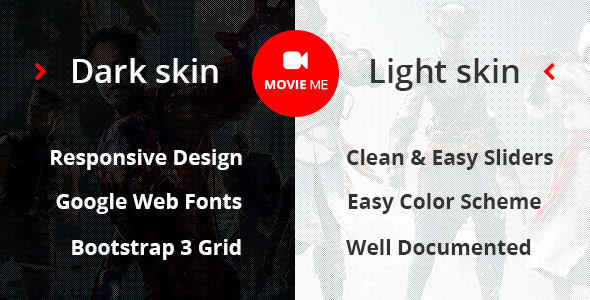 However, Movie Me has Bootstrap, jQuery, Owl Carousel, Fliplock, Font Awesome and many more. It’s tough to explain how beautiful the design of this template is. Click on the button to experience the template first hand. You will see how catchy and smooth the design is. 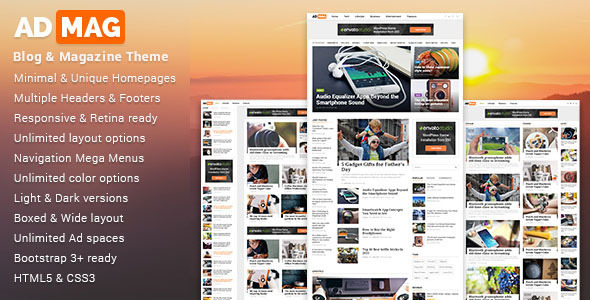 LifeMag – Responsive HTML Magazine Template is a high performance HTML template, specially designed for Magazine, News and Entertainment News etc. Your purpose should be not only finding the Best Entertainment HTML Template rather should be finding the best Best Entertainment HTML Template that meets your need. 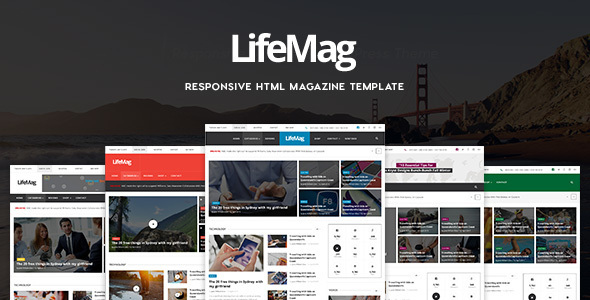 I thing LifeMag is a fully function-focused template that your meet your need. Using LifeMag, user-friendly template you can design the pages as your own taste. LifeMag Bootstrap template is fully responsive to any device size. However, in this template News Page, Magazine Page, Sport Page, Video Page and Fashion Page are designed distinctively in LifeMag. Besides, LifeMag has Font Awesome Icons, Google Font, Detailed Documentation, RTL Support etc. Epic HTML Portfolio Template is an excellent minimal HTML portfolio HTML template for the users who are directly the players in entertainment industry. Epic has brought an excellent outfit with the black background and precise content. In addition, the smart typography brings extra flavor with this template. It includes a fully functional outfit in the box layout. However, Epic portfolio template has Light & Dark Skins, Valid XHTML, jQuery Portfolio Galleries, Google Web Fonts, Video Intro, Pretty Photo, 20+ Page Layouts and fully Functional PHP Contact Form. In addition, Epic HTML template is Cross-Browser Compatible. Give a try to this exclusive template soon and decide whether to take it. Thanks a million that you have gone through the end of my blog. Hope you have got a great overview of the 14 Best Entertainment HTML Templates. Every template enlisted here has individual potential of its own. So feel free to choose anyone from this list. If you ask me for further categorization, I would frankly suggest you ‘Film Studio’ & ‘Disco’.